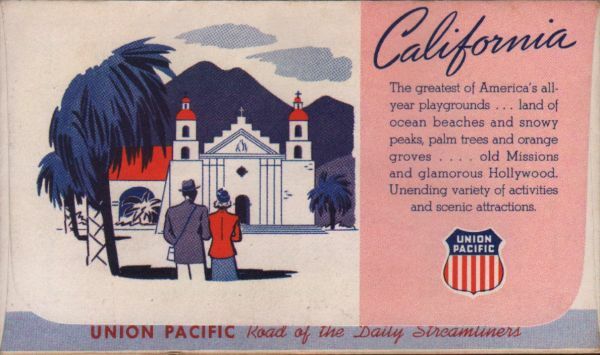 Description Union Pacific (UP) Railroad unused train ticket envelope - California - The greatest of America's all-year playgrounds... land of ocean beaches and snowy peaks, palm trees and orange groves... old Missions and glamorous Hollywood. Unending variety of activities and scenic attractions. Union Pacific Road of the Daily Streamliners. 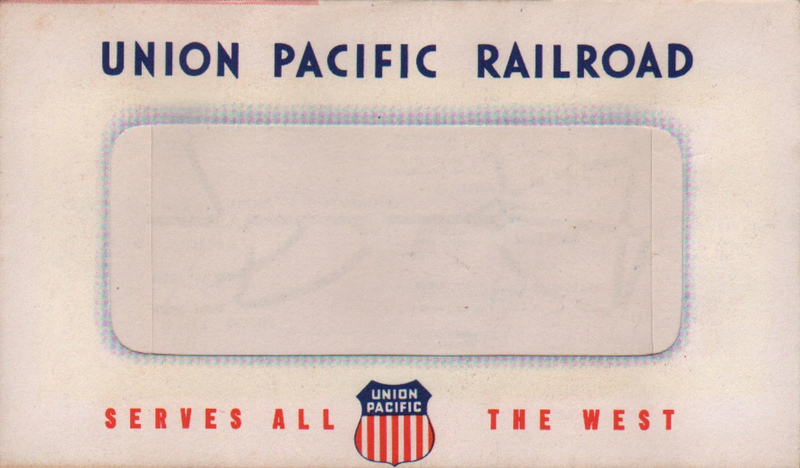 Union Pacific Railroad Servers all the West. 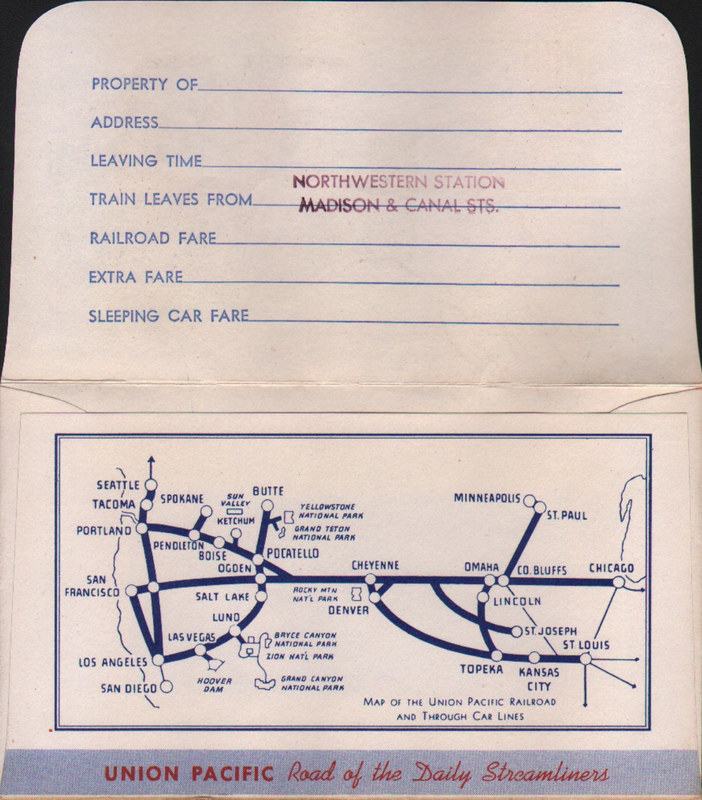 Stamped "Northwestern Station, Madison & Canal Sts."